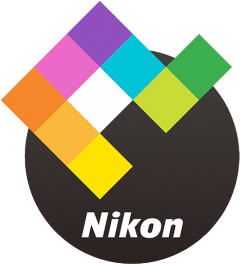 Nikon has released an update to its image editing and browsing applications Capture NX-D and ViewNX2. When images were adjusted in any of the following ways using Edit palette functions, and Capture NX-D was then launched again, the results of adjustments were not reflected. This issue has been resolved. - When the tone curve was adjusted by moving the Levels & Curves black-point input slider to a setting other than "0"
When a settings file, with which the Quick Adjust setting under Picture Control had been changed, was saved, the value saved for Quick Adjust only was "0". This issue has been resolved. When RAW images captured with cameras that support the Better Quality 2013 option for Noise Reduction in the Edit palette were adjusted, and the Intensity setting under Luminance was once changed to "0", subsequent changes to the Intensity setting were not reflected. This issue has been resolved. When the output slider was moved to a setting other than "0" with Chroma selected for LCH in the Edit palette, anchor points could not be added to the chroma curve at the intended positions. This issue has been resolved. When multiple images were captured with a User Custom Curve modified using a camera that does not support Picture Controls applied, changes made to the User Custom Curve during shooting were not reflected in images captured after the User Custom Curve had been changed. This issue has been resolved. When Capture NX-D was launched with a single-display system after having been used with a multi-display system, an error was displayed and the application could not be launched. This issue has been resolved. An issue that sometimes caused Capture NX-D to freeze when keyboard operations were performed while working with the Edit palette has been resolved. When the keyboard shortcut (SHIFT + 0) was used to delete ratings, labels rather than ratings were deleted. This issue has been resolved. Support for the COOLPIX S6900 has been added. 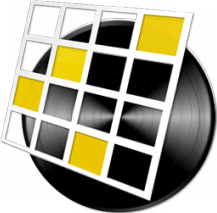 When image files are moved, copied, or deleted in ViewNX 2, sidecar files associated with the image files are now also moved, copied, or deleted along with image files. However, when image files are moved or copied to destinations outside of ViewNX 2, such as the desktop, sidecar files associated with the images files will not be moved or copied accordingly.